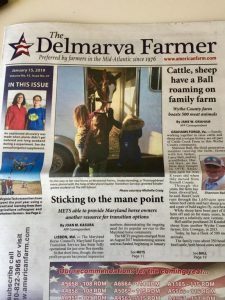 METS made the front page of The Delmarva Farmer! We were contacted last month by freelance writer Joan Kasura, asking if she could feature METS in the next publication of The Delmarva Farmer. Of course, we were happy to give permission without hesitation! Joan was very professional and thorough during her interview. She told us she was unsure if it would make the front page, but would definitely be featured. So, we were pleasantly surprised to see if front and center when it was mailed to us this past week. The article also highlights our greatest success story to-date, a gorgeous Thoroughbred mare being taken in by Virginia-based trainer, Michelle Craig. 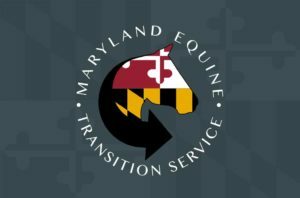 Be sure to pick up your own copy of The Delmarva Farmer to read about METS and the work we’re doing to help horses and owners throughout Maryland! Or check the article out at the link below! PrevPreviousNEW Internship Program Now Being Offered!